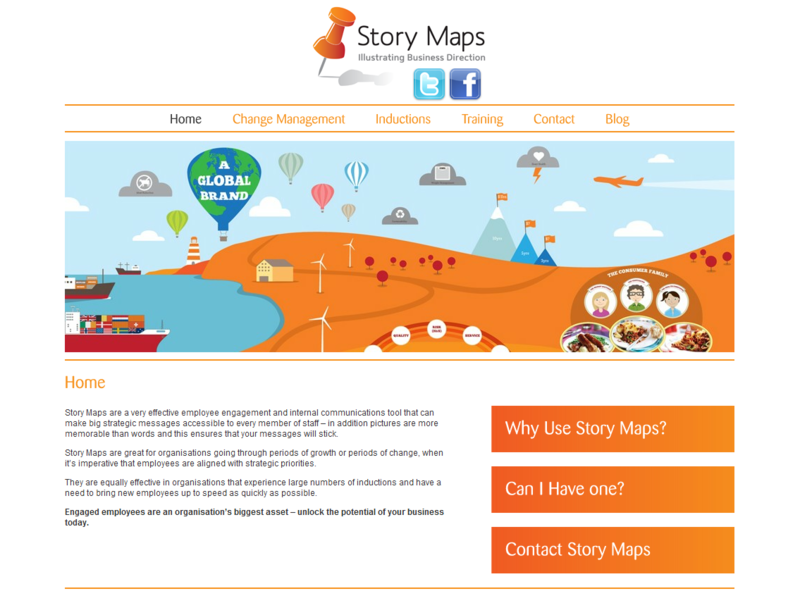 Story Maps are a very effective employee engagement and internal communications tool that can make big strategic messages accessible to every member of staff – in addition pictures are more memorable than words and this ensures that your messages will stick. Story Maps create a common language throughout the heirarchy of your business across different sites and cultures, turning complex information and difficult concepts into simple, easily understood messages. Story Maps are great for organisations going through periods of growth or periods of change, when it’s imperative that employees are aligned with strategic priorities. They are equally effective in organisations that experience large numbers of inductions and have a need to bring new employees up to speed as quickly as possible.